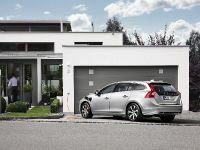 Volvo has revealed V60 Plug-in Hybrid a little ahead of its official debut at the Geneva Motor Show. 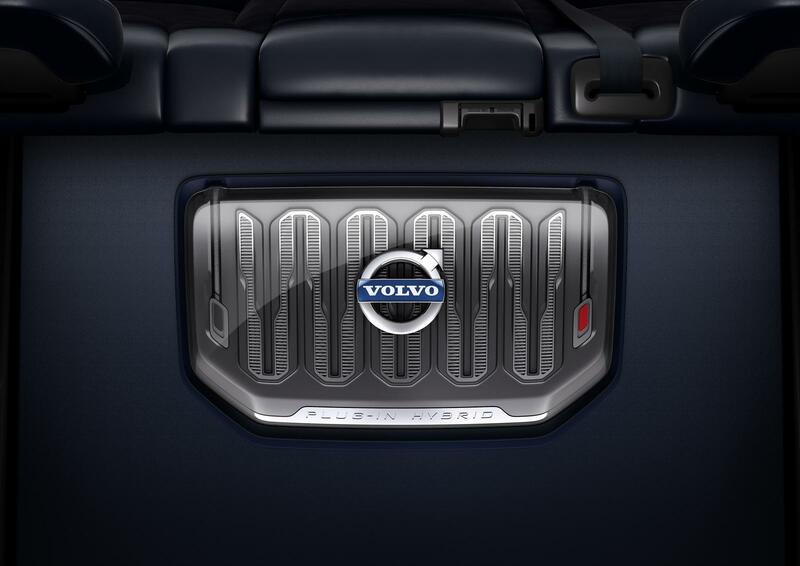 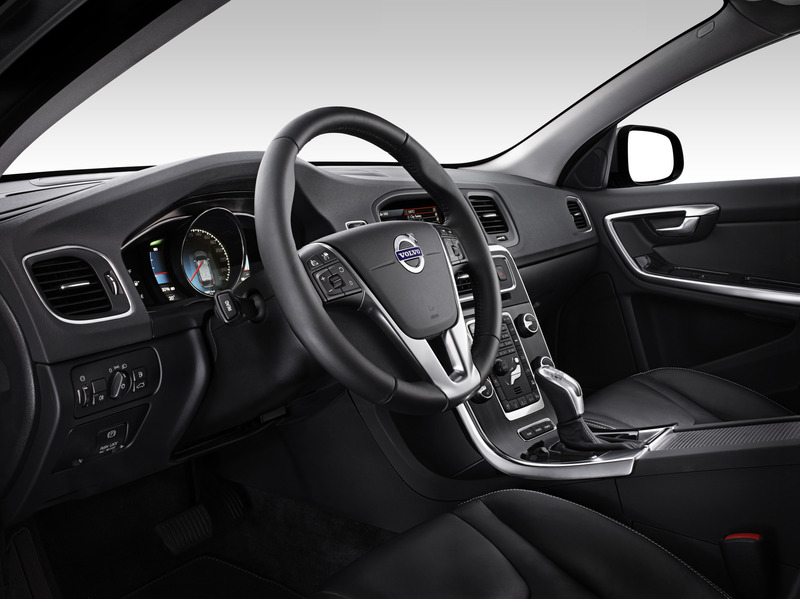 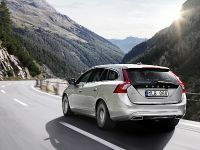 V60 Plug-in Hybrid is powered by a 2.4 liter five-cylinder diesel engine with 215 PS (158 kW) and 440Nm (324 lb-ft). 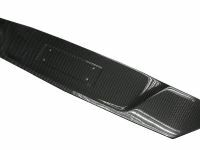 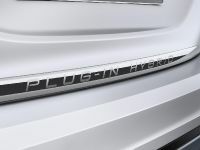 There is also a ERAD (Electric Rear Axle Drive) motor with 70 PS (51 kW) and 200Nm (149 lb-ft). 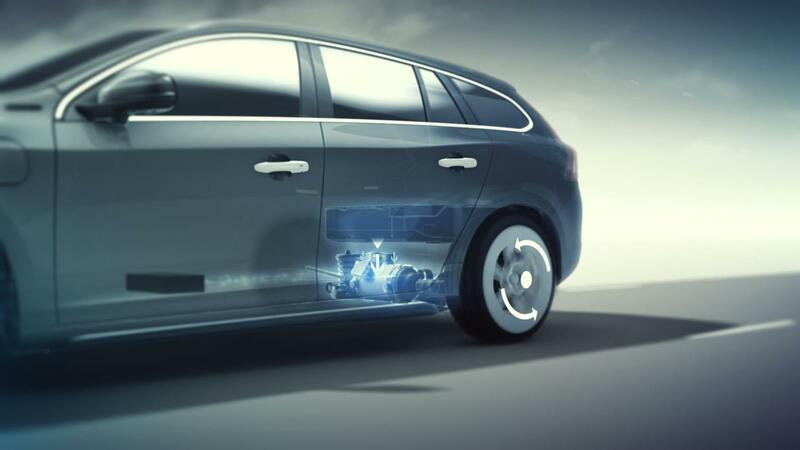 A 12 kWh lithium-ion battery sends power to this electric motor. 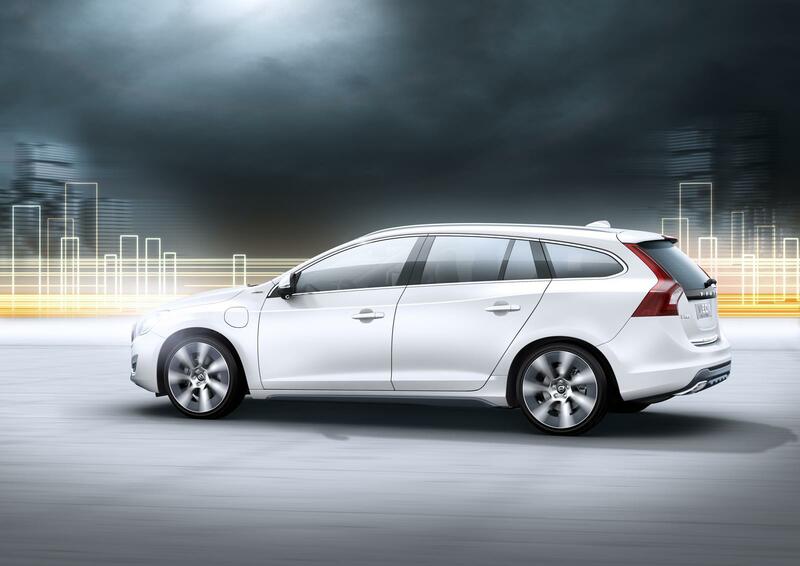 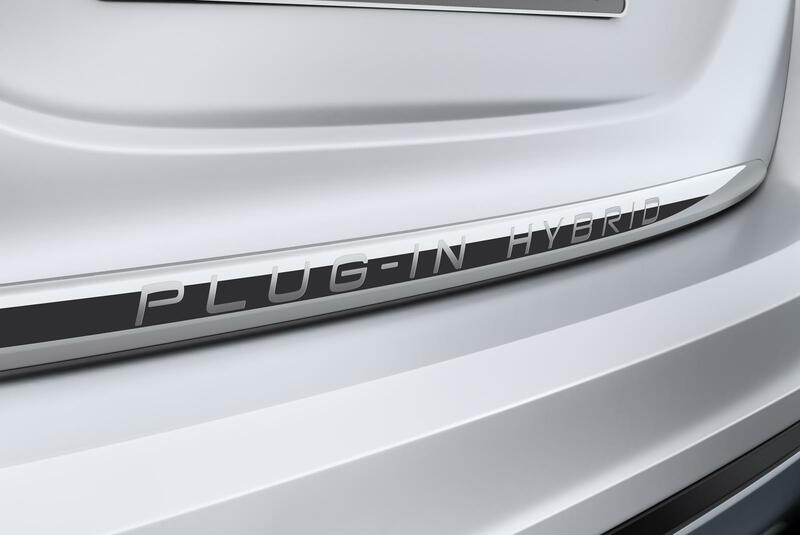 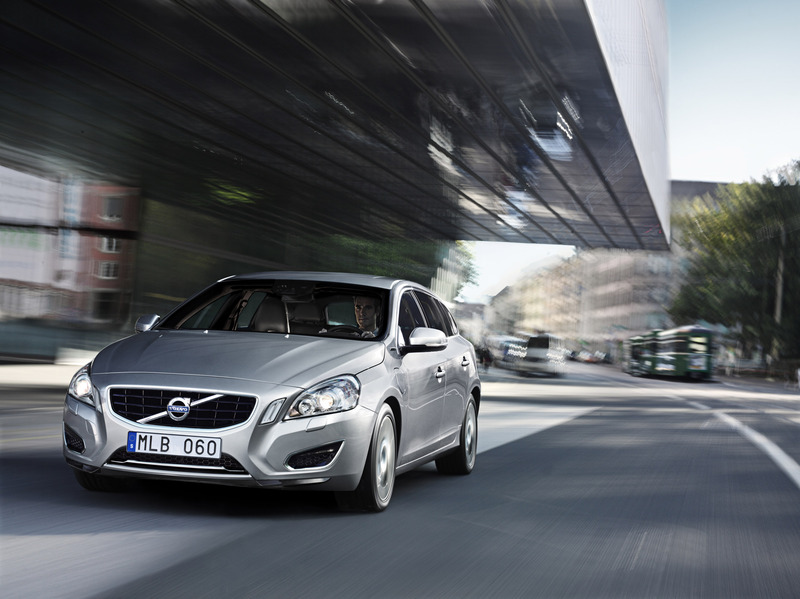 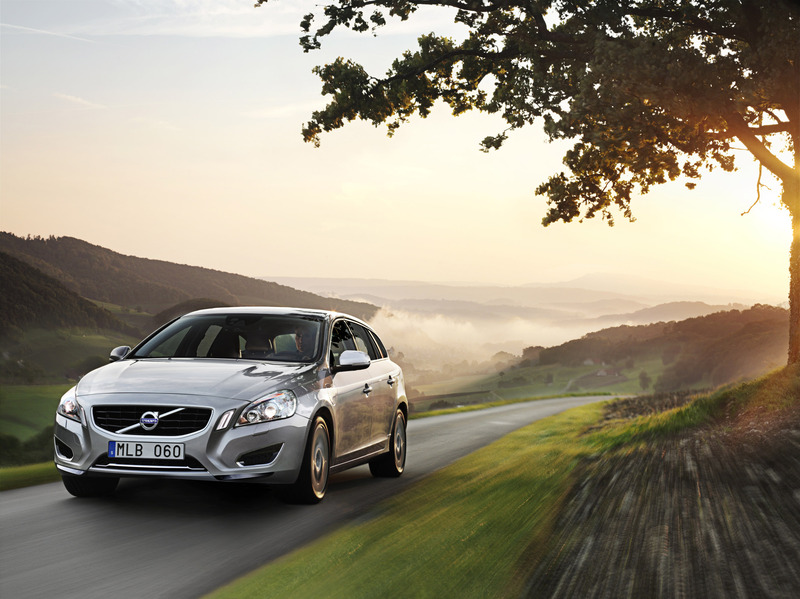 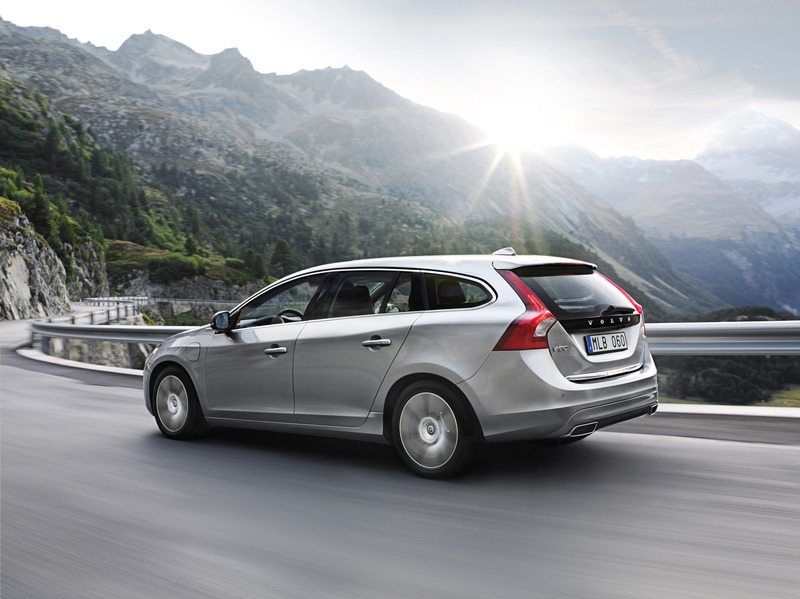 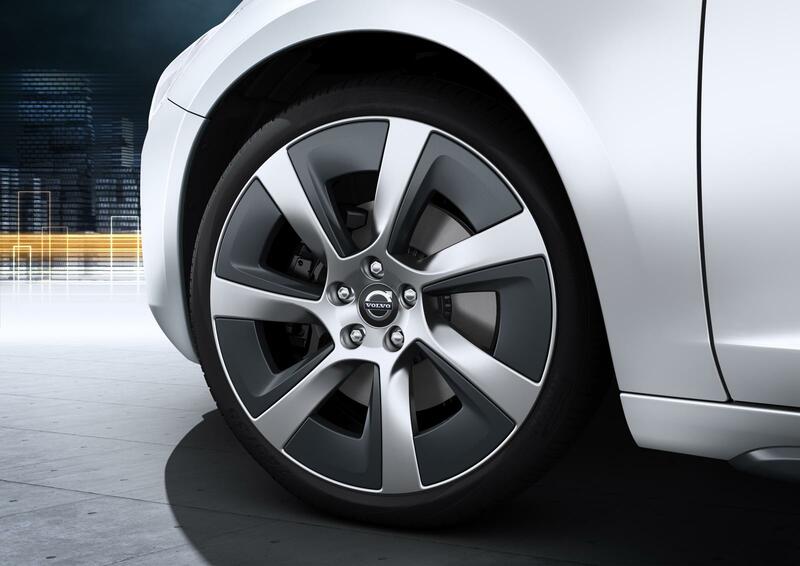 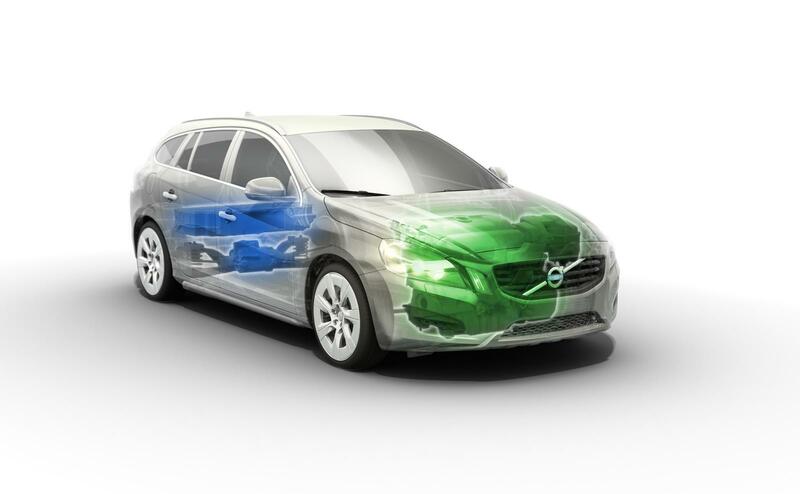 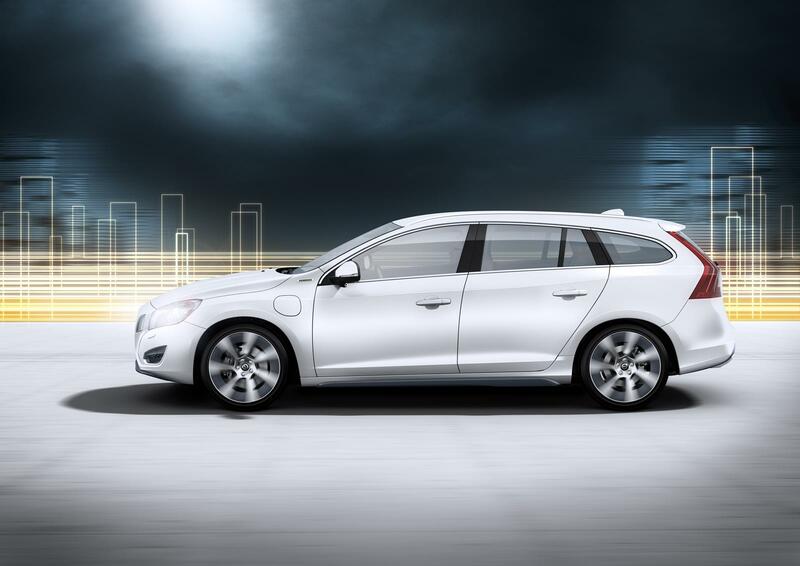 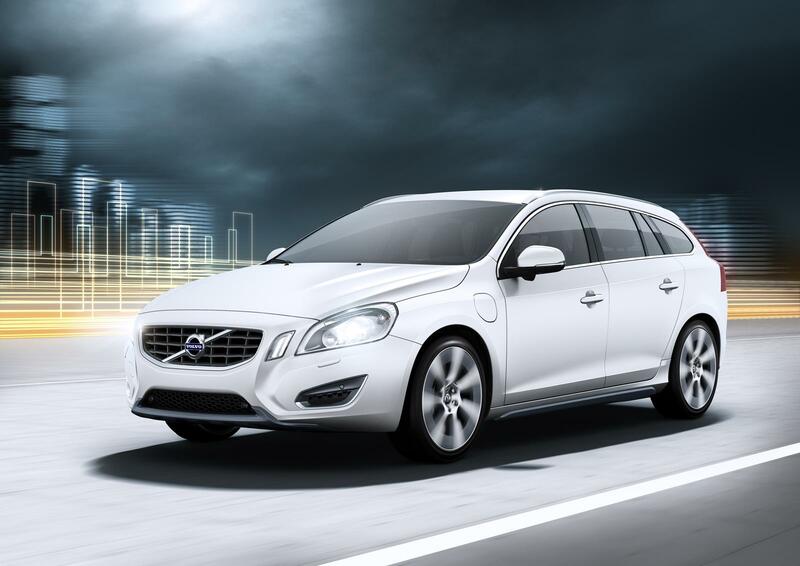 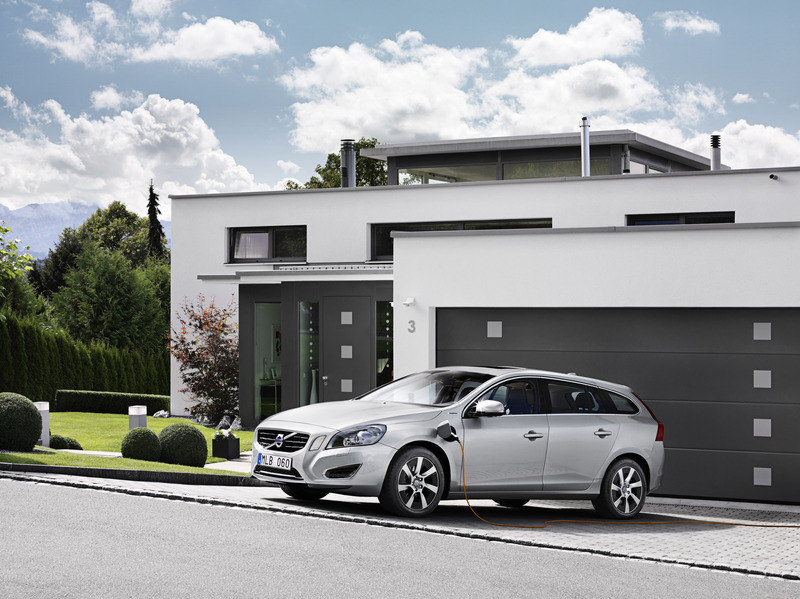 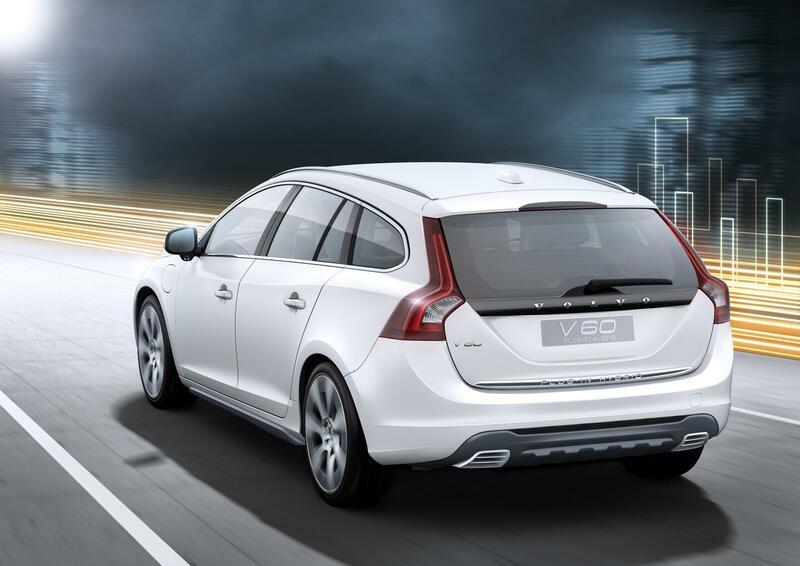 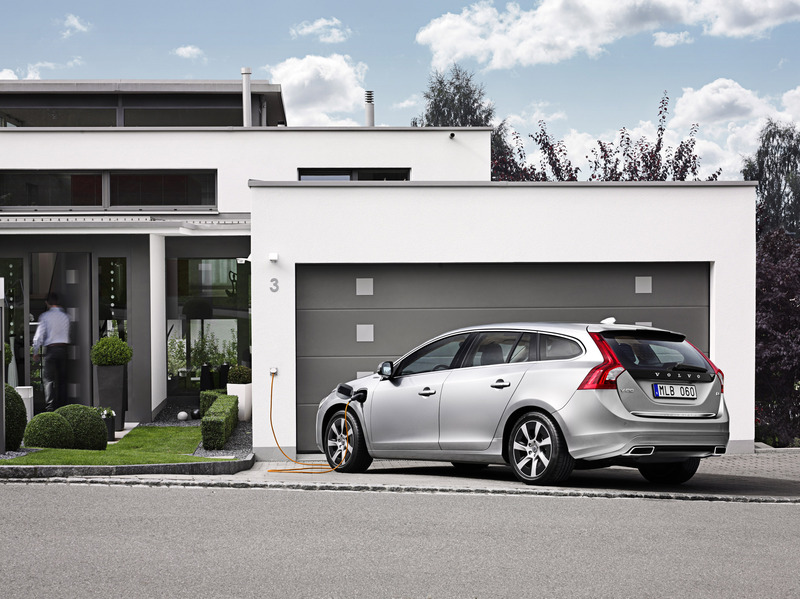 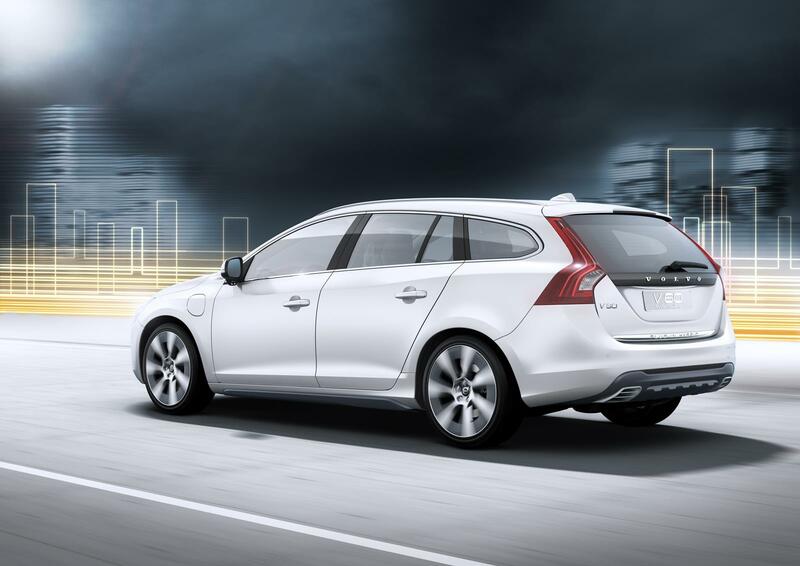 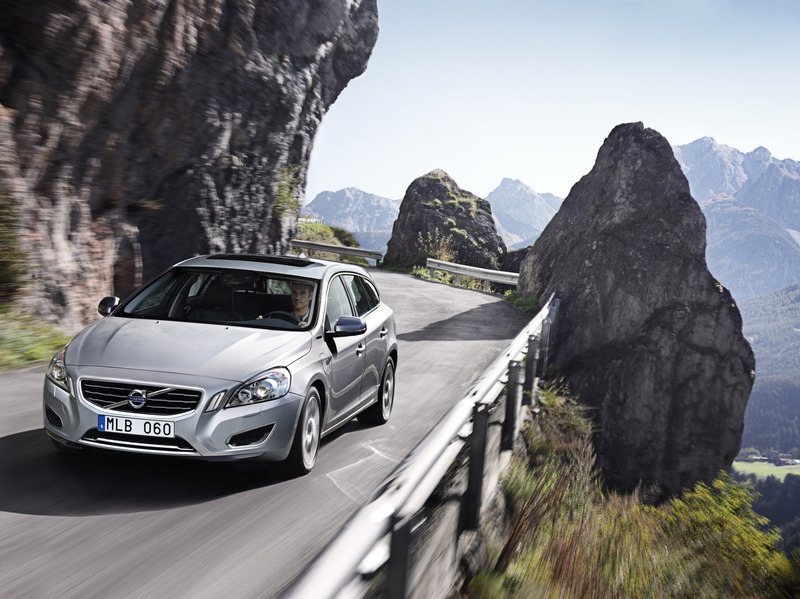 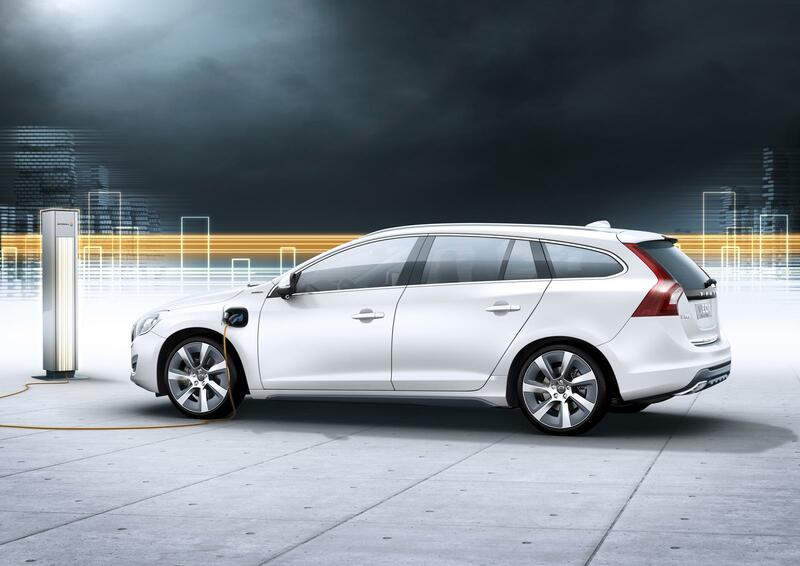 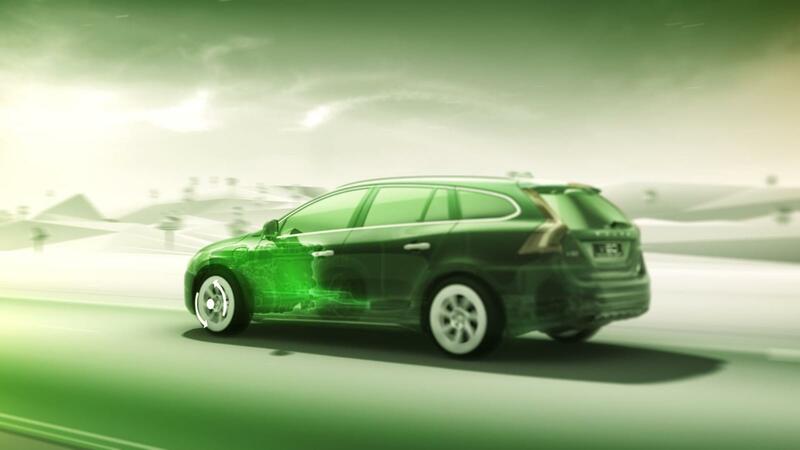 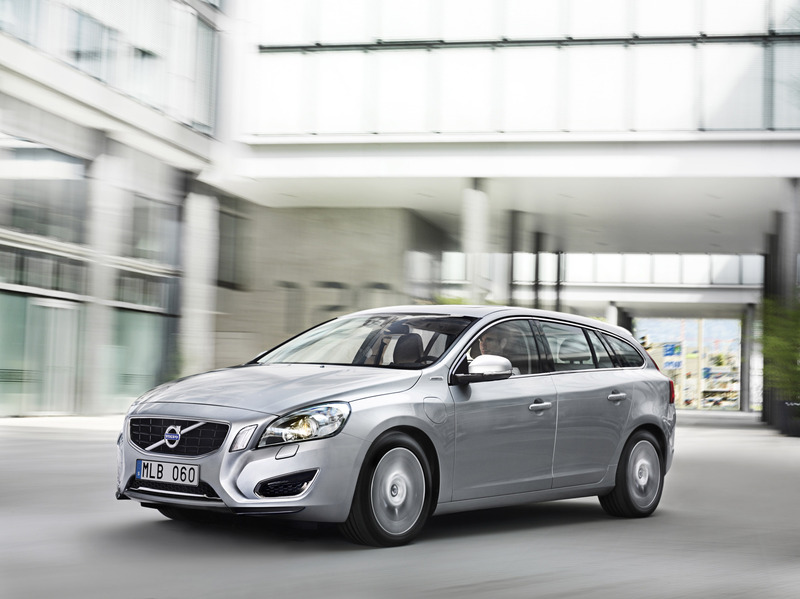 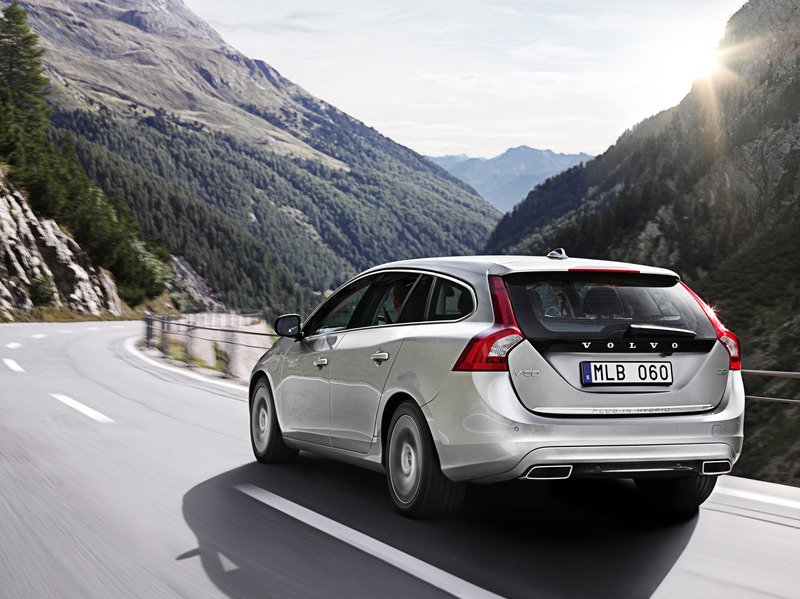 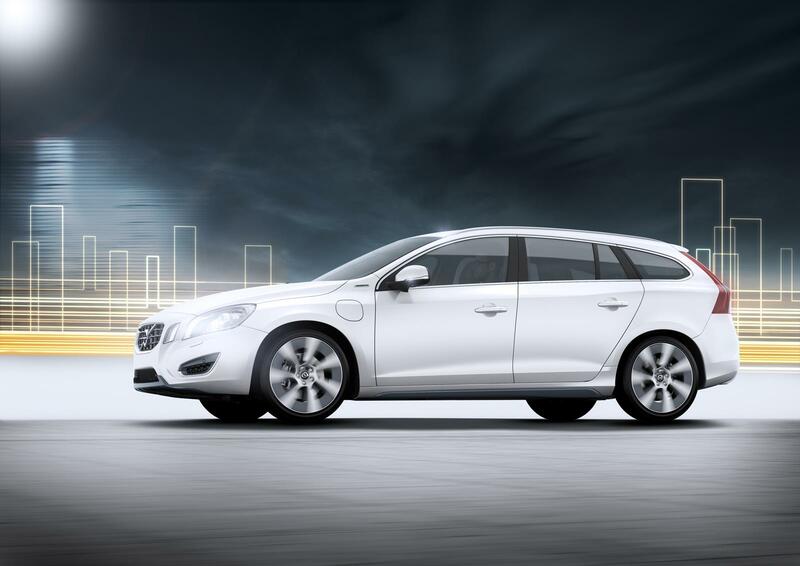 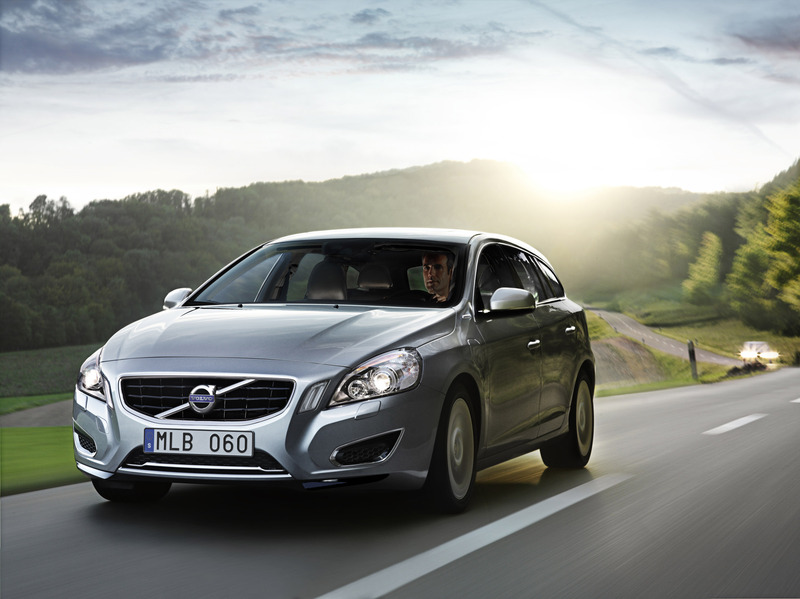 Thanks to the hybrid system, V60 Plug-in Hybrid achieves 1.9L /100 km (123.8 mpg) and CO2 emissions of 49 g/km. 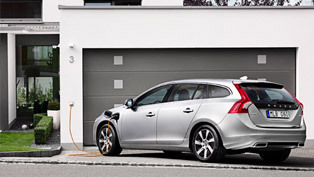 The car can go only on electricity up to 50 km (31 miles). 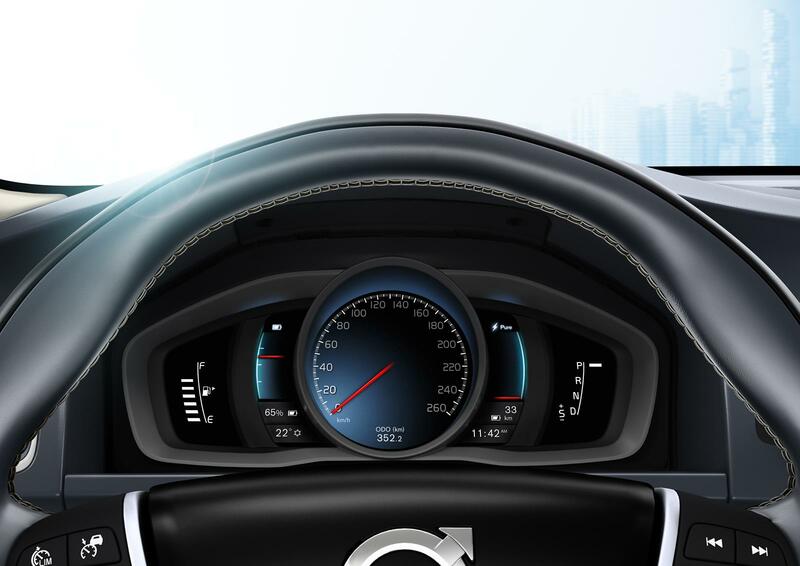 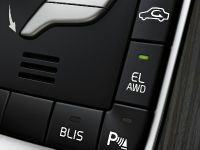 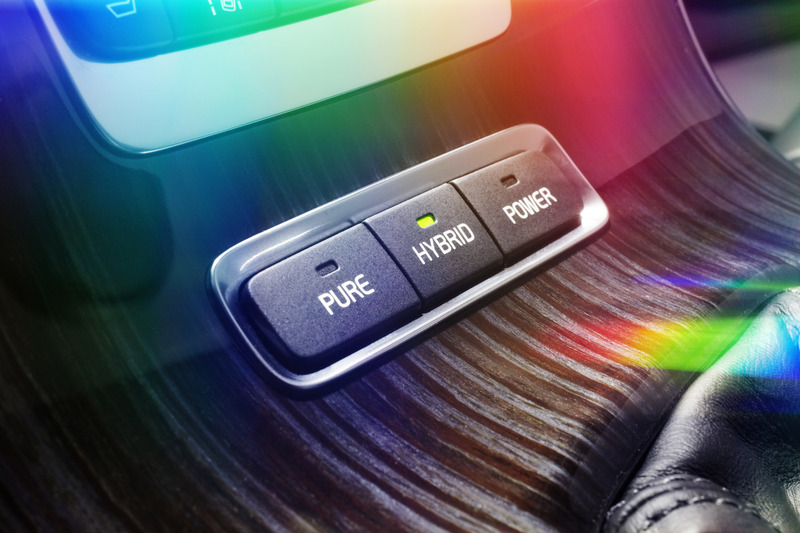 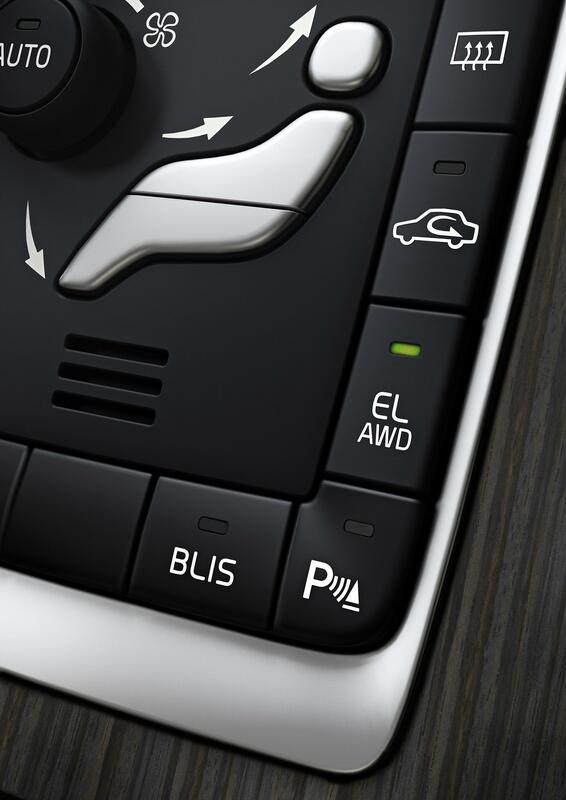 There are three driving modes, which can be selected through the infotainment system: Pure, Hybrid and Power. 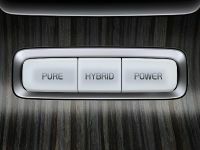 In Pure mode, the car runs simply on electricity. 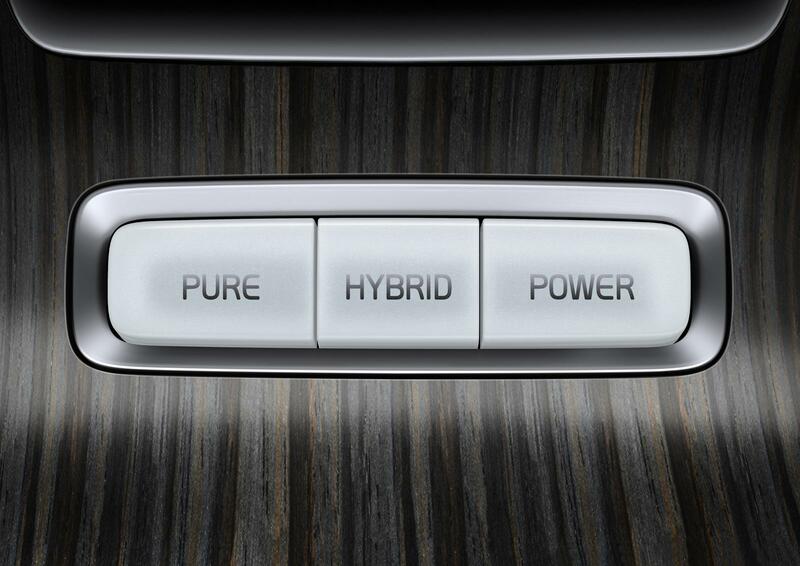 Hybrid mode is the default setting and turns on both motors. 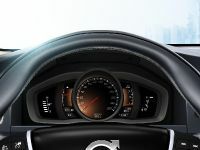 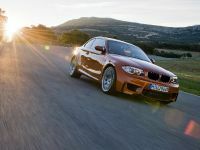 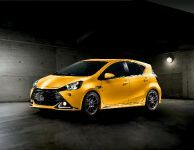 Power mode enables the full power of the 5-cylinder diesel and the car does 100 km/h in 6.9 seconds. 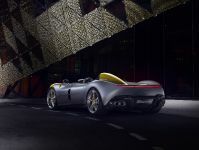 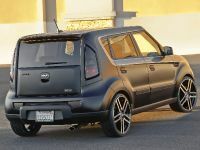 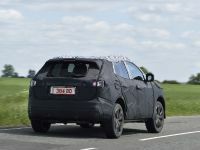 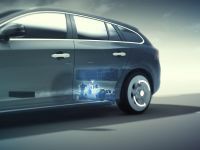 The vehicle has AWD - the diesel engine powers the front wheels, while the electric motor powers the rear. 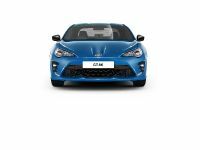 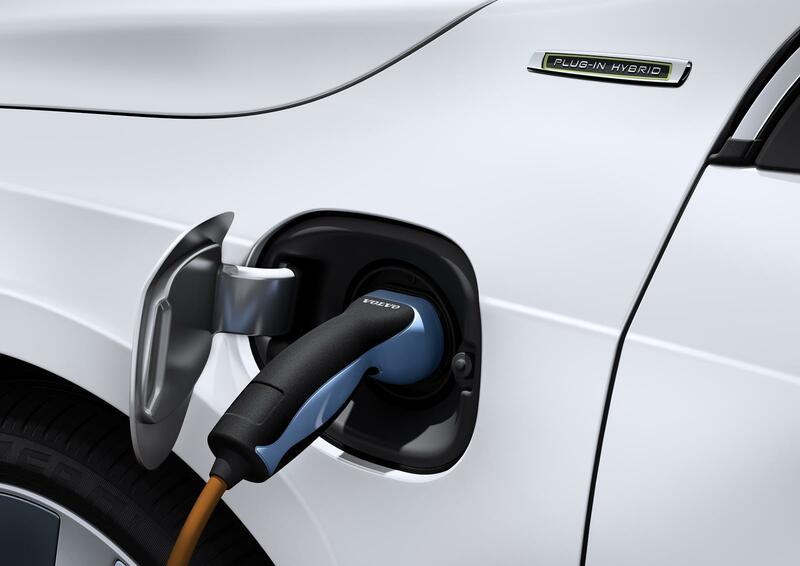 The electric motor can be recharged in seven and half hours via a standard household outlet (230V/6A) or three hours with a rapid charger (230V/16A). 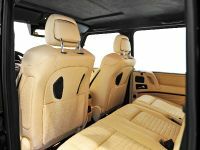 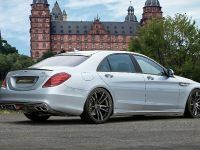 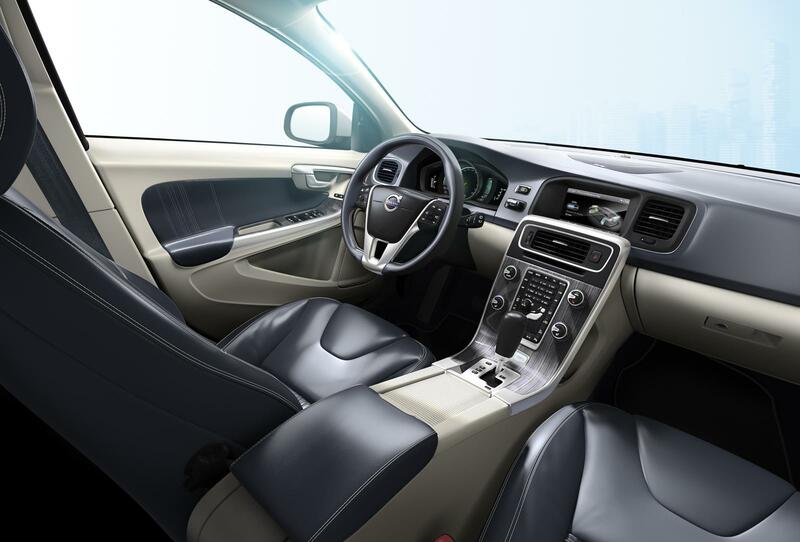 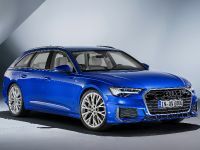 The interior boasts a revised instrument cluster, Elmo leather upholstery, and a new infotainment system with a variety of hybrid-specific functions. 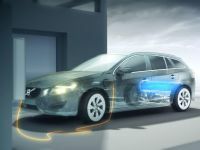 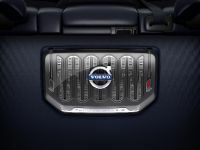 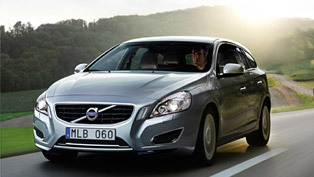 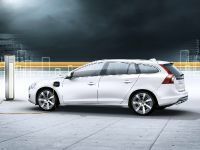 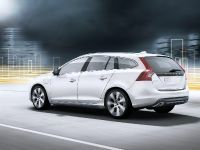 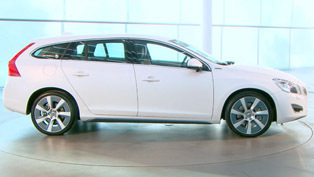 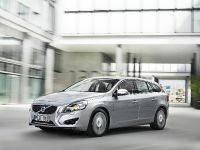 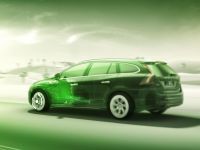 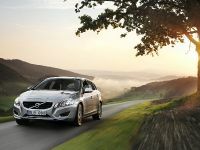 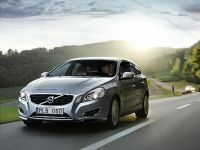 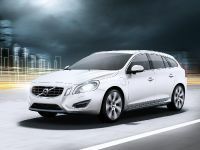 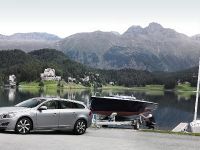 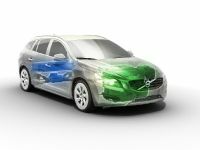 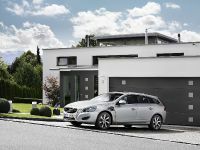 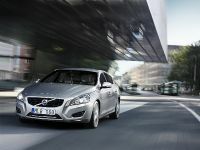 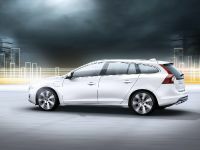 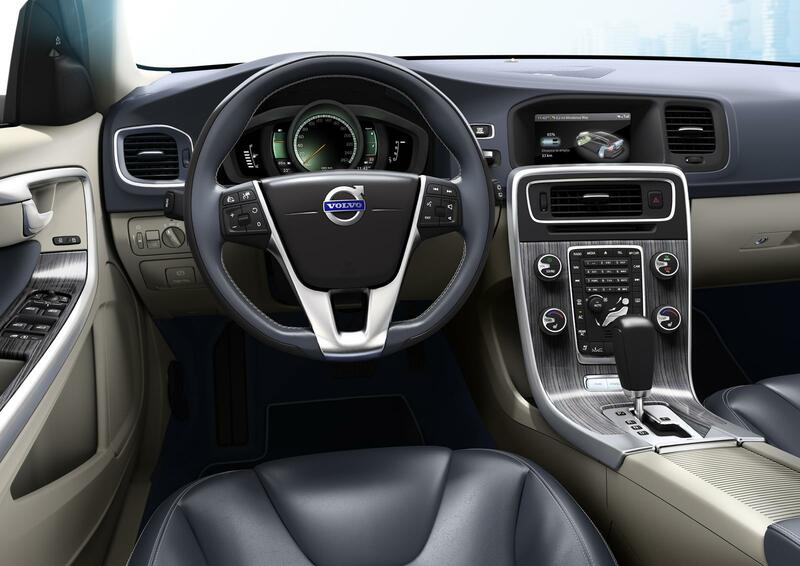 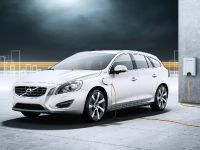 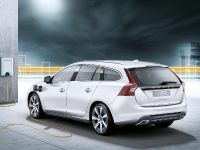 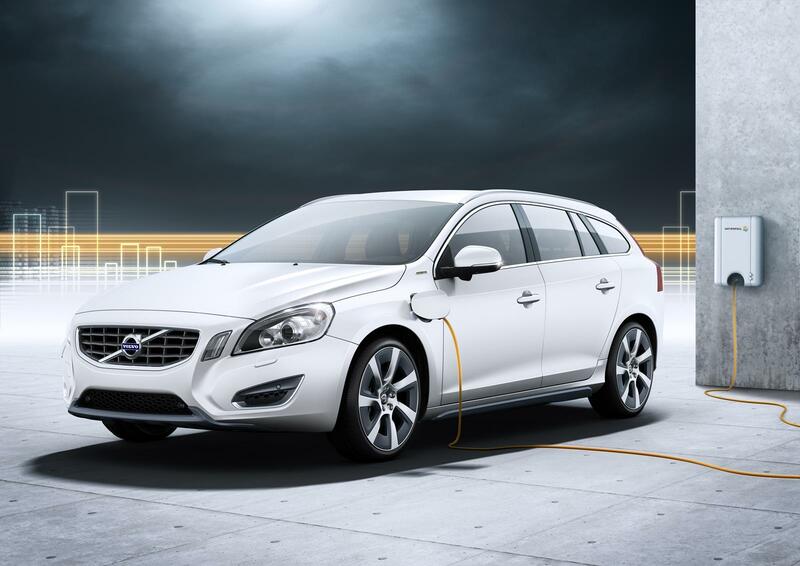 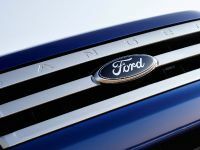 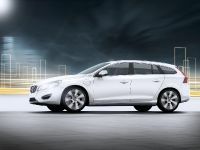 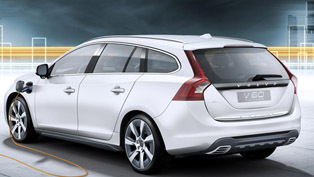 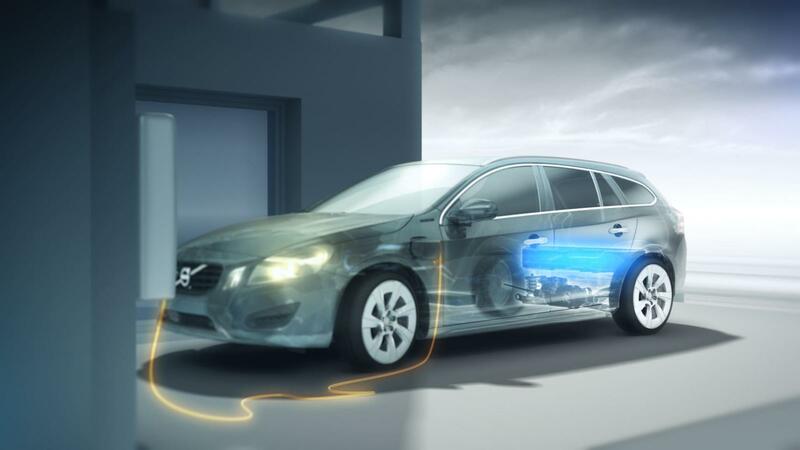 Volvo V60 Plug-in Hybrid is expected to hit the market in 2012.